_ I've long since given up thinking of DVDs as authentic - the music, for one thing, is so often different from what we originally heard - but I still don't like to see history rewritten. When the first season of "Cagney & Lacey" comes to DVD May 8, it'll be " 'Cagney & Lacey' Season One with Sharon Gless and Tyne Daly," a mouthful of a title that neatly sidesteps the first six episodes of the series, which won't be in the package. 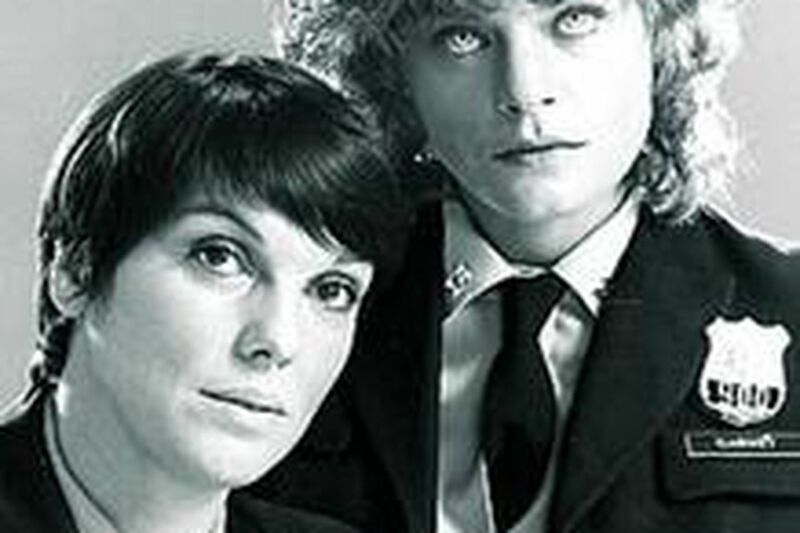 Those 1982 episodes starred Meg Foster, not Gless, as Christine Cagney. The Reading, Pa.-born actress was reportedly replaced because CBS, nervous about depicting two women police officers working together, didn't think Foster was "feminine" enough. Twenty-five years later, Foster just might not be connected enough. "To the world at large, Sharon Gless and Tyne Daly are Cagney and Lacey and, since it had been decided beforehand that industry practice for the initial release of a vintage television series would be followed (with only a sampler and not the entire series being initially released) I believed we had to go with what people expected: What people knew was the series they loved and supported so strongly." Rosenzweig went on to suggest that Foster's six episodes, and an earlier TV movie in which Loretta Swit played Cagney, "are worthy of their own DVD collection." _ Just because trivia fans will e-mail me about it: Yes, HBO's "The Sopranos" went even further than "Cagney & Lacey" when actress Fairuza Balk was replaced by Lola Glaudini in the role of an FBI agent, and her scenes reshot for both reruns and DVDs. _ So while I keep reassuring people that ABC's "Men in Trees" will be back next fall, some of you wonder why you can't watch it right now. It's a reasonable question - after all, "October Road" has its "season finale" this week after just six episodes - but "Trees" fans may not like the answer. The Anne Heche-in-Alaska dramedy won't be back this spring, and and you'll likely have to wait until fall to see the five unaired episodes from this season, which are being tacked onto the 2007-08 schedule. Taking the glass-half-full approach, an ABC spokeswoman suggests that fans can look forward to 27 episodes next season. _ There is no series so unwatched that someone, somewhere doesn't love it, and miss it when it's gone. A few people have even asked recently about NBC's "The Black Donnellys," whose recent short run was mostly distinguished by viewership (an estimated average of 6.68 million) that made "Studio 60 on the Sunset Strip" (8.36 million) look moderately successful. Not to mention better written and acted. Fans can still catch the remaining episodes at NBC.com, which posts a new one each Monday at 9 p.m., according to an NBC spokeswoman.